Is it purely down to price? Let’s start with that final question. Flavour. 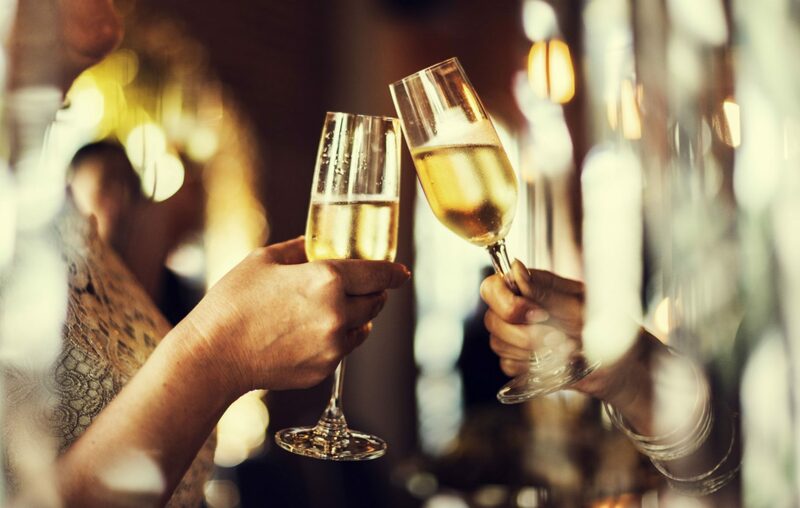 True, Prosecco has a much lighter, fresher profile which some people find easier to drink than those sparkling wines made by the Traditional Method. But many customers are now looking for wines they can enjoy with food and so a richer, more flavoursome style of bubbles may be better suited. So why does Traditional Method sparkling wine, including Champagne and English Sparkling wine, have that elevated flavour profile? It’s all in the way it’s made and by explaining this, will also help towards answering our price and quality questions too. All sparkling wine is made by second fermentation. A base wine has sugar and yeast added to it under sealed conditions. As the yeast eats the sugar, carbon dioxide is produced as a bi-product but because the fermentation vessel is sealed it absorbs into the liquid. When you pour the wine out of the bottle, the CO2 bubbles form in the glass. For Prosecco this process happens in a large pressurised tank and has to use the Glera grape variety and must be from Italy. Legally it can be produced anywhere in Italy but the best are from Veneto and the towns of Valdobiadene, Conegliano and Asolo. Once the second fermentation has occurred the now sparkling wine is transferred into bottles under pressure and sealed with a cork. The result is a light, fresh, floral wine, easy-drinking and relatively cheap to produce. The Traditional Method is a lot more time consuming and costly as everything occurs in the same bottle. Once the yeast has done its job rather than removing it straightaway, it is left in the bottle. The spent yeast is now called lees and over time, breaks down to add texture and flavour to the wine, a process called autolysis. This is then removed after riddling and a cork inserted. For non vintage Champagne the wine must be left ageing for a minimum of 15 months and that increases to 36 months for vintage Champagne. In reality, this is often longer and the same goes for English sparkling wine; Pebblebed Brut from Topsham in Devon spends four years maturing before release whereas Bollinger Special Cuvée NV Champagne is a minimum of five years. 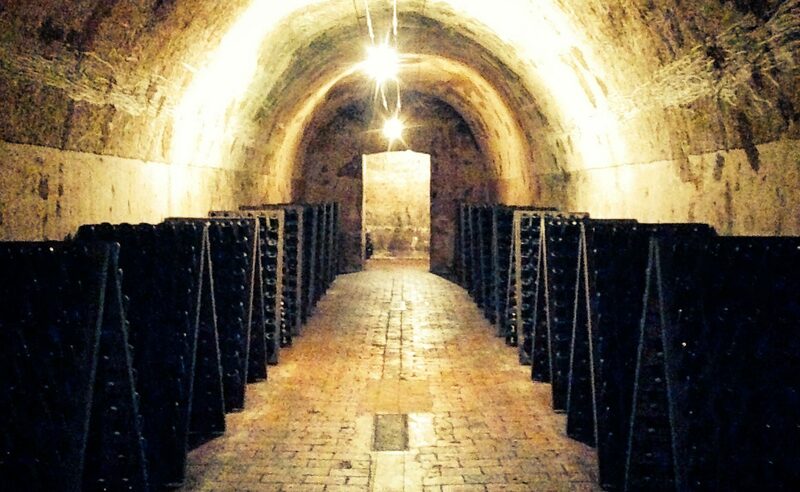 Bottles cellared deep underground beneath the chalk hills of Champagne. All of this adds to the quality and price of the final product so let’s look at ways we can encourage customers to choose a more premium sparkly by the glass. “Yes, we get less GP from it but the physical cash in the till is similar and we generally see customers’ overall spend is greater because they stay for more than just the one. 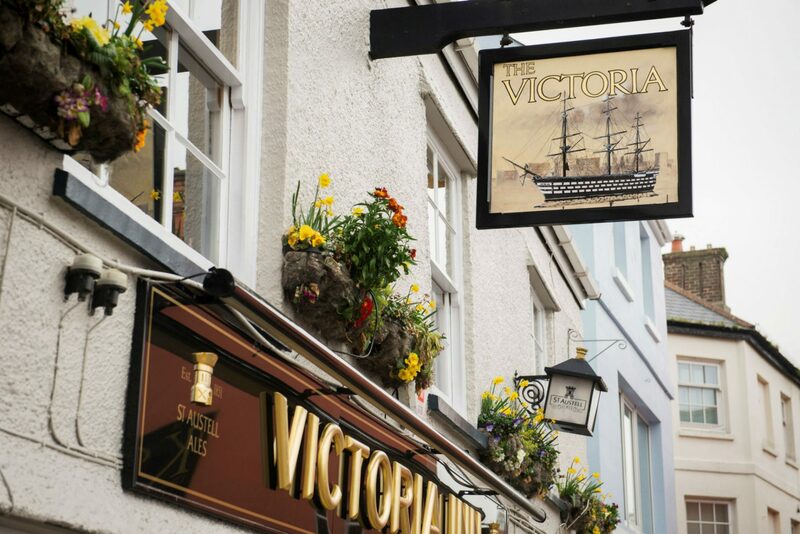 The Victoria Inn Salcombe sell over 400 bottles of Joseph Perrier Champagne a year. Getting staff engaged can also encourage sales of premium sparkling wine by the glass. It may only be during dictated times, as above, but for every Prosecco sale, it’s worth asking the question…. A quick and effective staff training delivered by the St Austell Wines team can empower your staff to sell-up and customers get the feel-good factor from treating themselves. and you only need add a couple of quid onto a customer’s bill for them to upgrade. The grid below shows some example costings that maintain the amount of cash you’ll receive by offering different options or by offering a reduced price during certain times. Take a hit on the GP, get the cash. Let’s get those corks popping!